The situation looks pretty black for Orange. He isn't aware, yet, that he's being held capitve in Demon Thirst's secret cloud hangout. For years the authorities have been stumped by the Demon's whereabouts. Demon Thirst has never left a clue as to his base of operation. After all, who suspects clouds. 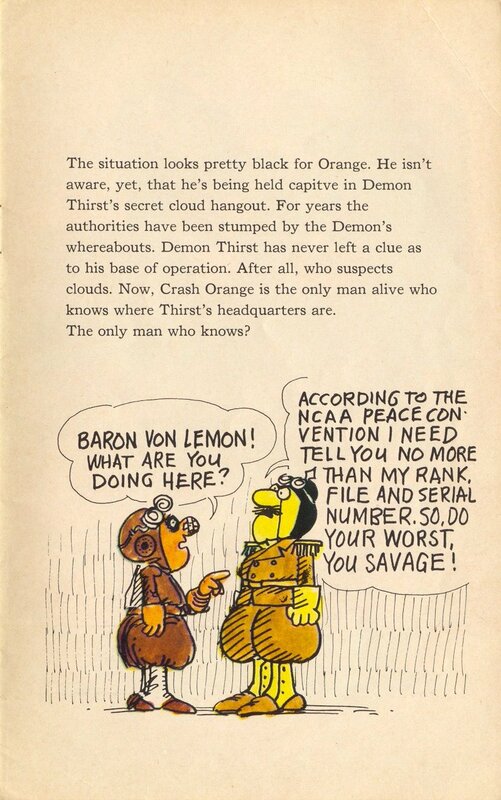 Now, Crash Orange is the only man alive who knows where Thirst's headquarters are. The only man who knows?